Who started this craziness with the Magic Poster books? I think it was Taschen. Actually, it was Charles Reynolds in 1976 with his book of magic posters. It just took everyone else a long time to catch on. Is it just me, or is anyone else having 'magic poster overload'? ANOTHER book of vintage magic posters has just come out, and like all the previous books it's a beauty. Sorry, I'm not going to rate which one is the best because when it comes to magic posters, I love them all and of the ones I listed below, I have all but one. Before I tell you about the latest book, let's go back and look at some others. 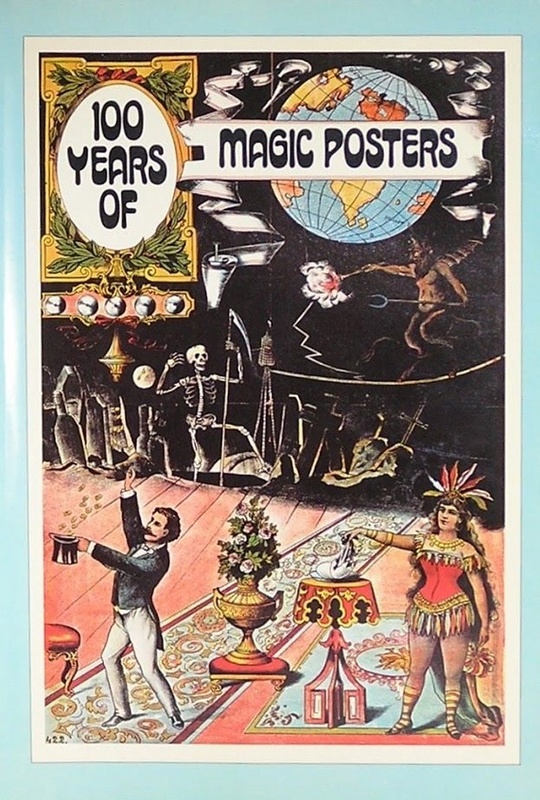 As I mentioned, the first Magic Poster book that I can think of was 100 Years of Magic Posters by Charles and Regina Reynolds. Published by Darien House in 1976, this book was for the general public. And it was printed in multiple languages as well as in a hard cover version and a soft cover version. I never realized it came in different language versions until I went to read the copy I purchased not long ago and realized it was in GERMAN! A quick look online and I found copies in Dutch and in other languages. The book measures 11x16 (at least that is the size of the German edition). The only drawback I can see to the book is that of all the pages of full cover reproductions, in the middle of the book there are 30 pages of posters in black and white. But other than that I know it was an extremely popular book for it's time. I've seen copies sell online from $50-100. and weighs about 17 lbs. The books authors are Mike Caveney, Jim Steinmeyer and Ricky Jay and Noel Daniel listed as Editor. A single volume of the book has chapters in English, German and French. Additional copies may have come out in other languages, I'm not sure. The original volume came in a slipcase and even had it's own cardboard carrying box with handle! The posters are in vivid color and are amazing. The only drawback to this book is it's so HUGE you need a special table to display it and frankly you might need a special table just to look through the book because it's so massive. It's a whopping 25 inches wide when you open it up! 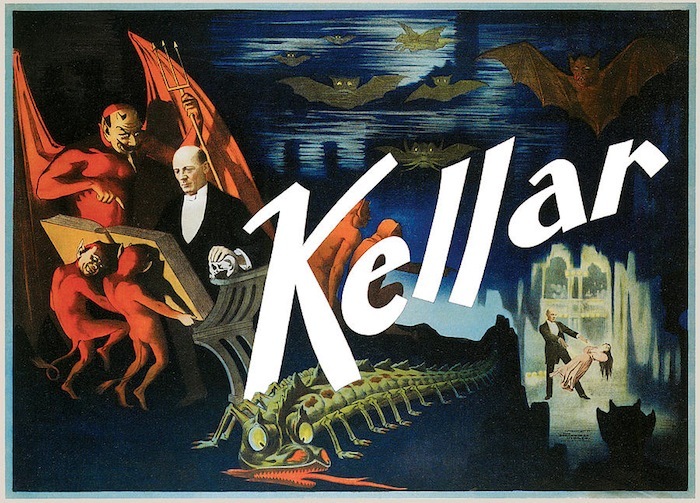 Interestingly, the cover of the book features Harry Kellar paging through a massive book on a table. That table was later recreated by Lupe Nielsen of Nielsen Magic, and it was specifically made for this giant Taschen book (see the link). Taschen was not finished however with magic poster books. In 2013, they put out a slightly smaller edition which measured 10.6 x 15.6 x 2.4 and weighed 12 lbs. I believe there was a third volume as well which was slight smaller than the second edition. Mine is in storage so I can't readily check on it. And then a final version which would measure 13.5 x 9 x 1.4. and weight considerably less than the original (see photo left). 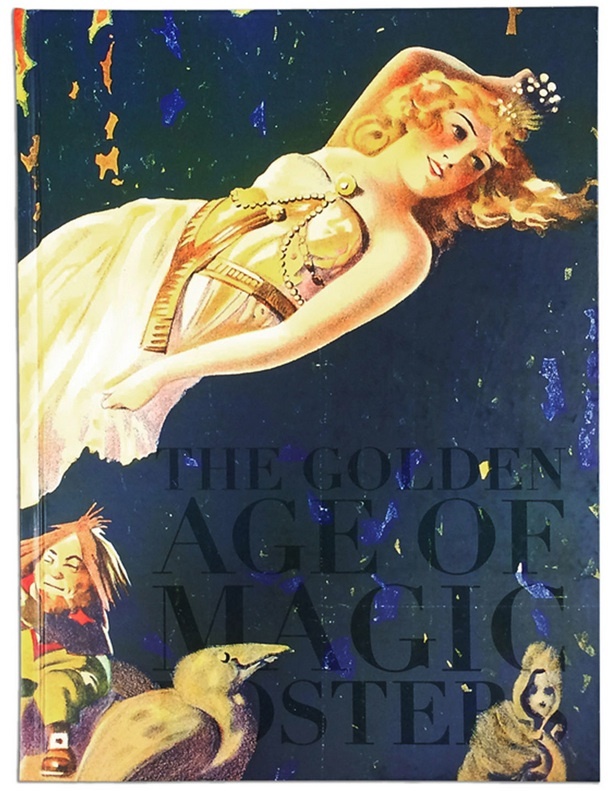 Taschen also put out Magic Poster Calendars, a Gift Box of Magic Poster Postcards, and a Magic Poster Journal. And a quick search through Amazon shows that they also put out a volume of their book in paperback version. I've not seen the paperback version however. All the other books are hardcover books. 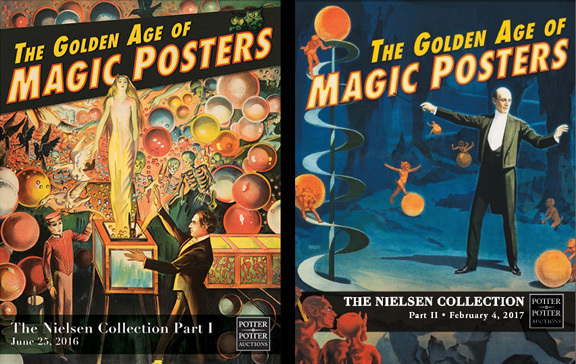 Speaking a Nielsen Magic, the massive poster collection of Norm and Lupe Nielsen went up for auction recently, at least part of it. Potter & Potter Auctions created two hard cover catalog books to commemorate the auction. These books, unlike those previous mentioned are in a more manageable size., 11x9. 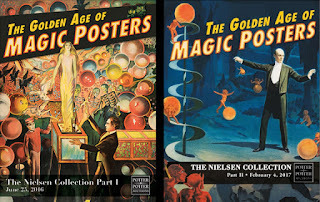 The books are called The Golden Age of Magic Posters-Nielsen Collection Volume 1 and 2. These books are beautifully done. Because they are catalogs, after the full color photo of the posters, you get a description along with the estimated auction price. Of course, these prices are estimates, as the final prices the posters sold for varied. 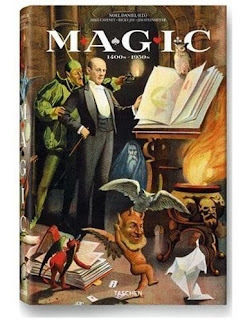 The latest book is called ILLUSIONS-The Art of Magic and is the companion book to the Allan Slaight Collection being displayed at the McCord Museum in Montreal. The book is gorgeous. I love the sleek black design on the outside of the book. Many of what I would call popular posters are featured in the book, as well as many that seldom seen. There are two other books that rate an honorable mention here. They are not Magic Poster books like those above, but there are loads of magic posters featured in these two books. And both books feature a full color section. The first is Milbourne Christopher's Illustrated History of Magic, and the next is David Price's MAGIC A Pictorial History of Conjurers in the Theatre. The Christopher book is still fairly easy to find, a new edition was printed a few years back so I'm sure you can find it on ebay. The Price book is harder to find, though a copy is listed in the upcoming Potter & Potter Auction. If you do not have a copy of that book, and you are into magic history, YOU have to get one! By the way, if there is a book of magic posters I missed, please let me know. 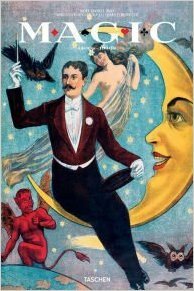 I think there was a book on European Magic Posters, but I don't recall the name of the book, nor do I know the author.